The famous Japanese-made Pro Evolution Soccer 2015 video game has been released in Americas earlier today and will be available worldwide on November 13th, 2014. Let's give the game a little time to settle now that it has hit the mass market. How close is it to the FIFA 15 experience? 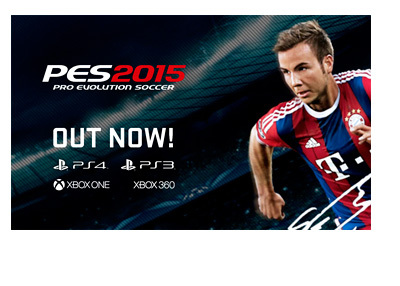 Is it better than FIFA 15?